Go-DIVA! 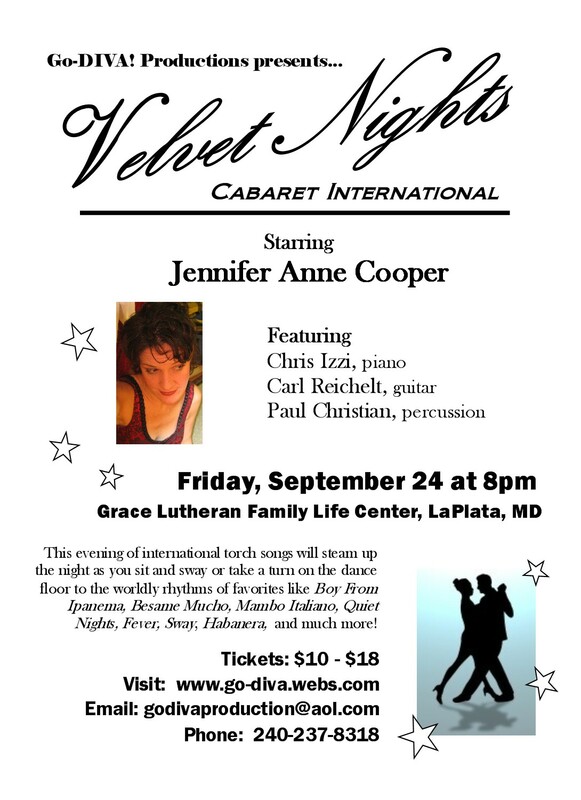 Productions Inc. - About "Velvet Nights"
A romance-filled evening of international jazz and cabaret! 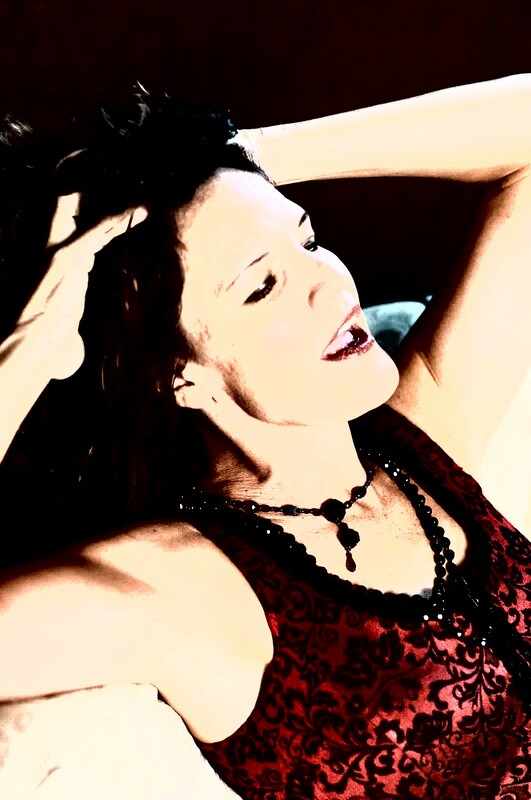 Jennifer Cooper's velvet vocals weave you through a geographical journey of music spanning the globe. Besame Mucho, Meglio Stasera, and much more! "Our son, Kirk Wilke, conductor of the Rappahannock Pops Orchestra, brought your CD "Velvet Nights" on his visit to our home on the Adirondack Shore this week. We have been listening to it, endlessly! What a great voice, RetroACT back up and song choices! Bravi!"